Why would a successful businessman pay so much money for a media property that its previous owners couldn’t wait to unload? Well, a couple reasons. First, the paper is reportedly profitable at the moment, and Doug Manchester, like many first-time newspaper owners before him, probably thinks that he is smart enough to not only stay profitable, but increase profits, for long period of time. (He is wrong.) And second, because Doug Manchester is a “conservative and anti-tax” nut who plans to use the paper to push a “pro-business” (meaning pro-Doug Manchster’s financial interests!) agenda. Carlsbadistan based Transworld Skateboarding Magazine just featured the Cherry Street Stairs in a Kenny Hoyle January 2011 cover shot by Seu Trinh. Here’s what the magazine editors had to say about it. Multiple visits, sore legs, cries to the heavens, and mental breakdowns were all ingredients in Kenny Hoyle’s massive oceanfront kickflip. But Kenny’s the one who came up with the bright idea of using a crappy waterlogged piece of wood as run-up. Hey, sometimes you’ve gotta pay to play, even if you’re paying in madness. Madness, yes, but how does it compare to this inline skater on the Sycamore Stairs back in the day? Valishia, the 32-year-old homemaker from Carlsbadistan who was hoping to win the heart of airline pilot Jake Pavelka on the ABC show The Bachelor: Wings of Desire, was cut from the herd last night according to a story on Reality TV World. We’re not exactly sure if we think more of her for not getting chosen or if she’s just the bottom of the bottom of the barrel. 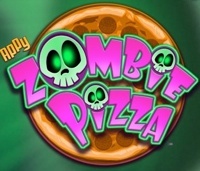 Carlsbadistan’s favorite local iPhone applications developer Appy Entertainment has just released its newest game, Zombie Pizza for the iPhone. The basic premise of the game is that flesh eating Zombies have taken over. As a player you have managed to become an apprentice pizza chef whose main goal is to keep the hungry zombies at bay with your pies. Make the brain, stomach, and other body part covered creations fast enough and the zombies will stay full and leave your corpus intact. Take too long, and you become the lunch instead of the pizza. Zombie pizza is a light hearted, easy to play, addictive game that has been a hit with the kids as well the adults. The progressively challenging, and funnier levels keep the attention for more than the first round. At 99 cents it’s a bargain and easy to throw on the iPhone for some quick entertainment. Thanks Appy! Jon Miller | Chief Digital Officer of News Corp.
Olli-Pekka Kallasvuo needs to explain what happened to Nokia’s business after Apple stepped in with the iPhone. Palm’s Jon Rubinstein is going to do the same thing, though he will be disguising his excuses as a presentation of their new webOS. Twitter’s Biz Stone and Evan Williams need to explain some kind of end game for a company that has raised close to $300 million, has 30.1 million users and zero revenue. Mark Cuban has some seriously SEC issues that we’re sure he’s just itching to explain. And finally, The Washington Post’s Katharine Weymouth will be faced with the “what ever happened to newspapers” question that we’re sure she’s extremely tired of answering. We would love to hear many of these explanations, but the conference costs $5,000. We’ll let you know how it goes. Walt Mossberg and Kara Swisher were very cool to us last year as was a certain PR person from Google. If you’re interested in following along click here to get the All Things D iPhone app. 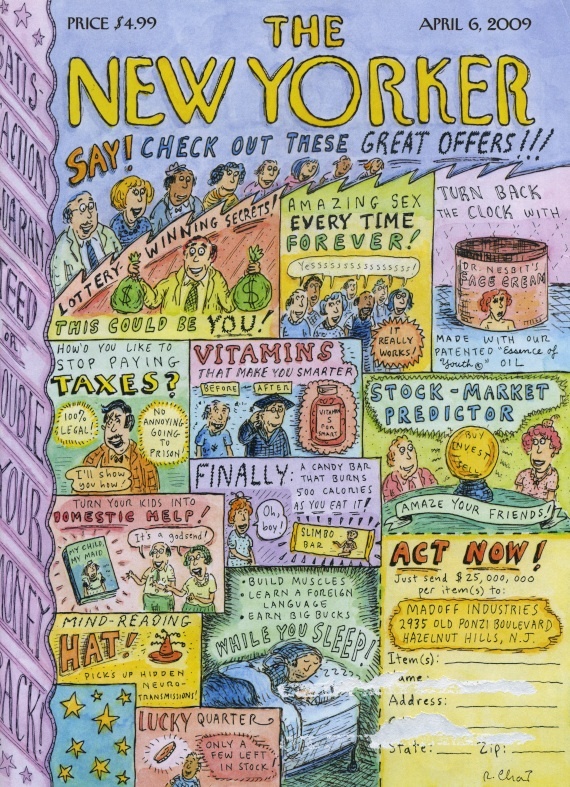 It is rare that Carlsbadistan gets a real literary treatment. 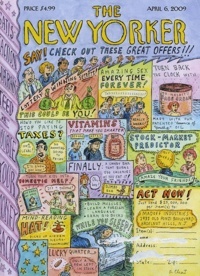 But, as several readers have pointed out, the April 6, 2009 issue of The New Yorker magazine features a piece of fiction by writer Brad Watson titled Visitation. Watson, who is a creative writing professor at the University of Wyoming, placed his sad story of an estranged, unemployed father visiting his young son right in the heart of Carlsbadistan. The place was crowded with people who’d been at the beach all day, although Loomis recognized no one they’d seen when the helicopter had nearly crashed and killed them all. He’d expected everyone in there to know about it, to be buzzing about it over beer and pizza, amazed, exhilarated. But it was as if it hadn’t happened. The long rows of picnic tables and booths were filled with young parents and their hyperkinetic children, who kept jumping up to get extra napkins or forks or to climb into the seats of the motorcycle video games. Their parents flung arms after them like inadequate lassos or pursued them and herded them back. The stools along the bar were occupied by young men and women who apparently had no children and who were attentive only to one another and to choosing which of the restaurant’s many microbrews to order. In the corner by the rest rooms, the old surfers, regulars here, gathered to talk shop and knock back the stronger beers, the double-hopped and the barley wines. Their graying hair frizzled and tied in ponytails or dreads or chopped in stiff clumps dried by salt and sun. Their faces leather brown. Gnarled toes jutting from their flip-flops and worn sandals like assortments of dry-roasted cashews, Brazil nuts, ginger root. Visitation is a great piece of short fiction, but Watson’s story isn’t the only Carlsbadistan reference in the issue: on the back page in the Cartoon Caption Contest (one that we should have won at least once already) Carlsbadistan’s own Ben Russak has a caption (one of three finalists) that we believe will be the winner. We don’t mean to be on a “reality TV” tip, but it seems like Carlsbadistan is showing up all over the place. On Sunday night Carlsbadistan’s bachelorette Naomi Crespo finally got the boot from ABC’s The Bachelor. We agree. And we’re going to cut it with the reality TV for now. 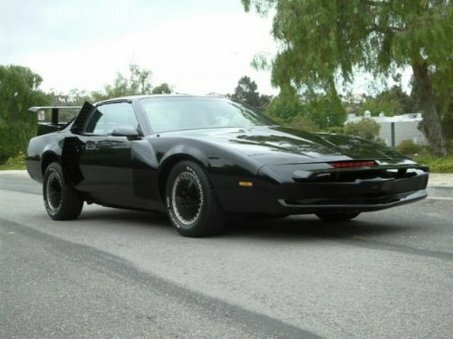 Sadly, one of the two remaining KITT (Knight Industries Two Thousand) cars from 80s TV show Knight Rider has been in a Carlsbadistan storage facility for years and we never knew anything about it. In a story on Staten Island Live about the car making a guest appearance at a car audio store next week we learned the following. . . The car also had a brush with real-life drama. . . . Before Barris reclaimed the car, which he had worked on during the series, it belonged to Greenwich, Conn., real estate mogul and car collector Andrew Kissel, who was stabbed to death in his basement in 2005. Kissel had never picked the car up from a storage facility in Carlsbad, Calif. . . . KITT is now on its way to Staten Island from California, traveling by truck. Oh, KITT. If we’d only know. How lonely you must have been all this time. And now, you’re gone. 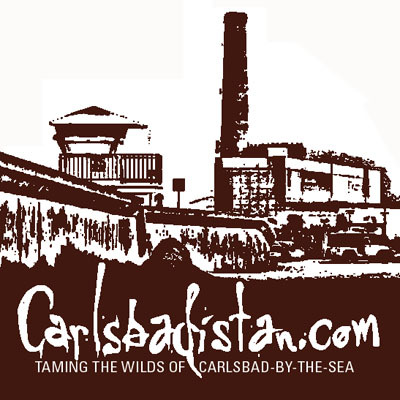 . .
Transworld Media, the longtime Oceanside-based publisher of seven action sports magazines (including Skateboarding, Snowboarding, and Motocross magazines) is pulling up its business and moving to Carlsbadistan at 2052 Corte del Nogal according to a story in the North County Times. Welcome to Carlsbadistan. It’s about time you got out of the slums and moved uptown. Free stickers for everyone. We’ve been messing around with twitter for a while now. But we initailly wanted to wait until we were absolutely sure that we had something important to say before we announced it to the world. If you have a twitter account, and you know what we’re talking about, please follow us and we promise that we will occasionally tweet. It may simply be about the weather, the waves, or who we just saw getting arrested, but at least it will show we care. And, you can tweet us back. We’ll be one big happy tweeting, twittering, Carlsbadistan family.